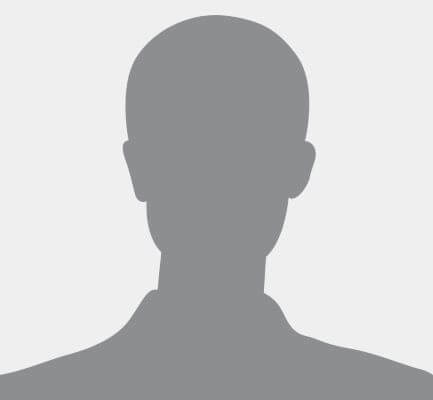 Divone Price | CrossCountry Mortgage, Inc. When working with clients, I will ensure they get the most efficient and seamless service possible, while making their home purchase experience both stress free and positive. With years of experience helping home buyers with their financing needs, my passion has always been putting clients first, listening to their financial goals and providing guidance and support through every step of the loan process. Learn more about our 21 day loan process and home loan options as well as utilize some helpful tools and resources. We can close most loans in as few as 21 days! Learn about the 5 step process for our program here. Make sure you have all the necessary required documents and information during the loan process with this checklist. Looking for help about what types of loans to apply for? See all your options for buying and refinancing. Looking to buy a fixer-upper or want to make repairs to your current home? Learn all about getting started here. Our streamlined loan review process can help you buy or refinance a home faster than ever before. Whether you’re buying a new home or refinancing your current home, you’ve got a goal in mind, and we’re here to help! With our streamlined loan process, we can help you close in as few as 21 days. That’s something to be excited about, especially since the national average for mortgage loan closings was 42 days (as of 10/2016). 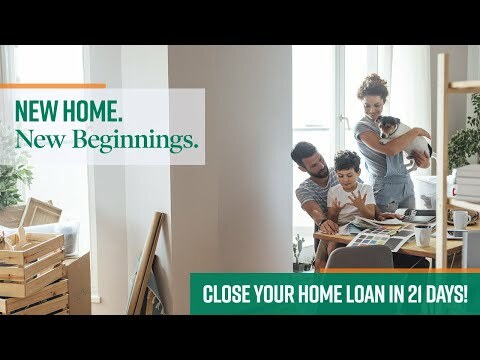 Think about it: by the time other people are signing their closing documents, you’ll already be enjoying your new home or enjoying the financial benefit of your refinance loan! So how does it work? How can CrossCountry Mortgage, Inc. close your loan faster than other lenders? We must be doing something weird, right? Not at all. It all boils down to being proactive and efficient — on both our part and yours. Within 3 days of submitting your application, you must submit your income, assets and credit documentation. We’ll work closely with you to obtain all required documentation to ensure that it’s complete and accurate, and submit it to loan processing for review. An appraisal will be ordered, a title search will be completed and property insurance will be verified. A loan processor will review your documentation and submit it to underwriting within 24 hours. Your loan will be assigned to an underwriter who will complete an initial review within 48 hours. If any conditions are required, your loan will be sent back to the processor to work with you to clear conditions within 2 days. Your loan will be given to an underwriter for final review. The underwriter will issue a clear to close (CTC) and assign the loan back to the processor who will inform all parties of the CTC, verify the closing date and time, and place the loan in the closing queue. The closer will have 24 hours to provide closing documentation to the settlement agent. You’ll attend the closing and sign all remaining documentation. Once the loan has funded, you’ll receive your keys to your new home. Congratulations! Financing a home is faster and easier than ever before. Our licensed, experienced loan officers will help you understand the variety of mortgage types available, identify the right loan for your personal and financial goals, and navigate the home process. We are ready to help you close your new loan in as few as 21 days - Give me a call or send me an email today. CrossCountry Mortgage, Inc. is an FHA Approved Lending Institution, and is not acting on behalf of or at the direction of HUD/FHA or the Federal government. All loans subject to underwriting approval. Certain restrictions apply. Certificate of Eligibility required for VA loans. CrossCountry Mortgage, Inc. is an FHA Approved Lending Institution, and is not acting on behalf of or at the direction of HUD/FHA or the Federal government. All loans subject to underwriting approval. Certain restrictions apply. Certificate of Eligibility required for VA loans. USDA Loans: Borrower income limited to 115% of median income for the area. Borrowers must have reasonable credit histories. 30-year loan term. Housing costs cannot exceed 29% of income; total debt payments cannot exceed 41% of income. Homes must meet state and HCFP building codes. Funding fee required. Available only in designated USDA rural areas. Many types of home financing programs are available. Here’s an overview to help you get started. You’ve applied for a new home loan or have decided to refinance your existing mortgage. You’ve made a great choice, and much of the work is now done. You’ve researched loan options, talked through them with a licensed loan officer, gathered the required documentation, and completed your application. Now all you have to do is wait, right? Not quite. During the loan process, there are many factors that our loan processors and underwriters will review when considering you for a loan. Processors may request additional or updated documentation, and underwriters may need clarification on certain aspects of your finances. But that’s not all. Beyond reviewing and requesting documentation on your financial history, we’ll also be paying attention to what you’re doing with your finances during this time. Just because the initial application is complete and our team has most (if not all) documentation required to review the loan, doesn’t mean that you can go finance a new suite of living room furniture or buy a new car. Many of these things will affect your financial standing, such as your debt-to-income ratio and credit score. It’s important that these aspects remain consistent during the loan review process, otherwise the details of your loan could change. You may be required to provide a written explanation of your activity, or worse — your loan could be canceled. So, how can you ensure that you don’t put your loan at risk? We’re just as excited as you are about your new home or refinance. That’s why we’ve put together a list of things to do and not to do as you’re navigating the loan process. Not only will this information help you when your loan is being reviewed, but it will also help if you’re getting ready to apply. Respond to questions and requests promptly. Additional requirements (known as loan conditions) may need to be cleared to help underwriters approve your loan. Disclose all other loans and credit. Be transparent with your loan officer so your application will not get held up. Be accessible as your closing date approaches. Schedule time to review and sign documents and pay closing costs and down payment. Make any major purchases. This includes a new car, appliances, or furniture that may alter your debt-to-income ratio or negatively affect your ability to make monthly mortgage payments. Open any new lines of credit. This could also alter your debt-to-income ratio or harm your ability to qualify for a loan. Move money around in your accounts. This may appear as an attempt to hide debt or large balances. Use untraceable money. Using large amounts of untraceable cash can make it difficult to understand your spending habits and cash-flow. Make a career change. Maintaining your position until after your loan closes demonstrates income stability. This list is, of course, for guidance purposes only. Sometimes life throws curve balls that we have no choice but to address. We understand. So, if you’re looking to buy or refinance and are unsure about one of these dos or don’ts, give me a call and I’ll be happy to discuss your situation and answer any questions you might have. Give yourself the competitive edge you need to buy the home you want — before someone else does. Housing inventory is down across the country, which makes buying a home more competitive. In addition to your offer on a home, the ability to close quickly is critical. Sellers and agents don’t want to lose valuable time waiting for a potential buyer to get approved for a loan, only to have it fall through. Many won’t even work with a buyer who isn’t already pre-approved. With the FastTrack Credit Approval program from CrossCountry Mortgage, Inc., you won’t face any of those challenges. That’s because this innovative program allows you to get Credit Approved for a mortgage before you’ve found a home. You’ll even have documented proof in the form of a certificate that you can give to a seller to demonstrate that you’re able to buy their home — and buy it in as few as 10 days after a signed purchase agreement. And when you consider that the national average to close a loan in late 2016 was 42 days, you can imagine how attractive your offer will be to a seller. When other buyers are making offers that take much longer to close, you’ll be making an offer a seller can’t refuse. Even buyers that are pre-approved won’t have the same advantage you will! Apply for a mortgage. You’ll complete an application and provide all required documents, such as W-2s, bank statements, and tax returns. Your credit will be reviewed. Receive buyer and seller letters. The buyer letter will notify you that you have Credit Approved status subject to the terms and conditions in the letter. The seller certificate can be given to a seller or their agent. It contains your approved loan amount along with the statement that you’ve been Credit Approved. Clear credit conditions. We may need explanations for certain things on your credit report or additional documentation. These are called conditions, and they must be resolved for your loan to close. You’ll have the option to clear any conditions while shopping for your home, which speeds up the loan process. With all credit conditions cleared, you’ll be in a good position to close quickly after you execute a purchase contract. Find your new home. Make an offer, agree on a price, and sign a purchase contract. Proceed with the final steps. These include obtaining an acceptable appraisal, a home inspection, evidence of title, and property insurance. With credit conditions already cleared, your loan could close in as few as 10 days after the signing of the purchase contract. Important: The timeline will be determined based on the completion of these final steps. Close on your mortgage. You’ll be notified that you have a clear to close (CTC). Your closing date will be finalized, and you’ll sign all documentation. Once your loan funds, you’ll get your keys. Congratulations! 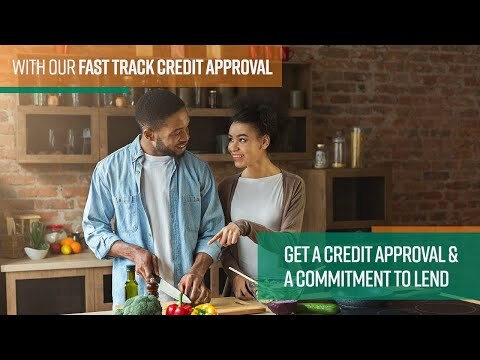 The FastTrack Credit Approval program at CrossCountry Mortgage, Inc. is the right solution for buyers searching for homes in today’s tight housing inventory. Don’t risk losing the perfect home to someone else. With a little upfront work, you’ll be able to make the home you love yours faster than anyone else. Give me a call or send an email to get the process started.